Goldenrain tree (Koelreuteria paniculata) with Verticillium wilt. References Douglas, S.M. 2008. Verticillium Wilt of Vegetables and Herbaceous Ornamentals. The Connecticut Agricultural Experiment Station (www.ct.gov/caes). McCain, A.H., Raabe, R.D., and Wilhelm, S. 1981. 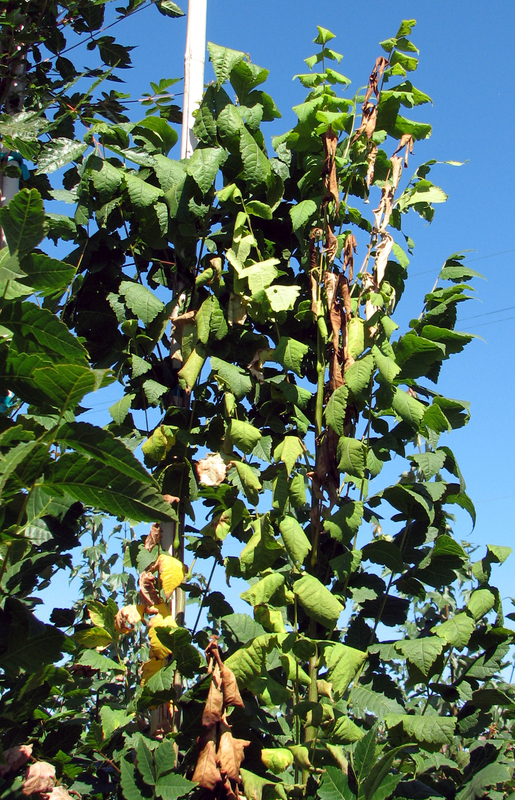 Plants Resistant or Susceptible to Verticillium Wilt. University of California Leaflet 2703. *Resistant cultivars or species are available.